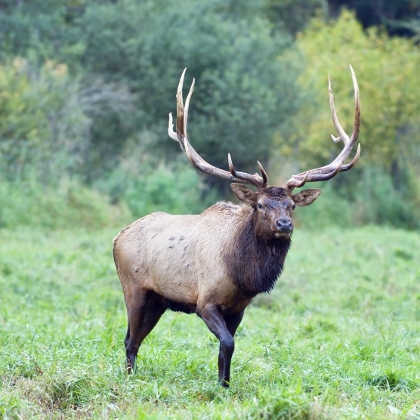 Elk Ranchers: We will dry, strip, grind, and screen whole antler for encapsulation on our new FDA approved pharmaceutical grade equipment in climate controlled facilities for $12/lb. We're almost 3/4 miles south of exit 34 on I-90, just about an hour's drive from Spokane airport. The ranch spreads across 144 acres on both sides of State Hwy 3. A tunnel under the highway allows the elk to pass from the field that extends east to 4th of July Creek to the west side of the ranch's holdings. The west side is rugged and mountainous with firs, pines, and cedar trees. 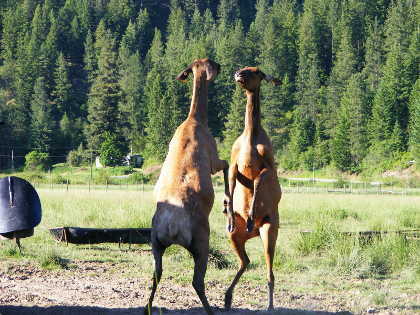 We run a little over 100 elk. It varies year to year. We raise them for EVA, the premium quality deer antler dietary supplement. We harvest and process EVA right here at the ranch. We care about our animals, and we care about good manufacturing practice. You can be assured you are getting the purest and highest quality EVA obtainable anywhere. 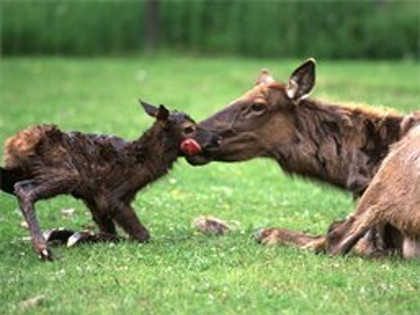 We also know it is no secret: elk is really tasty and really good for you! 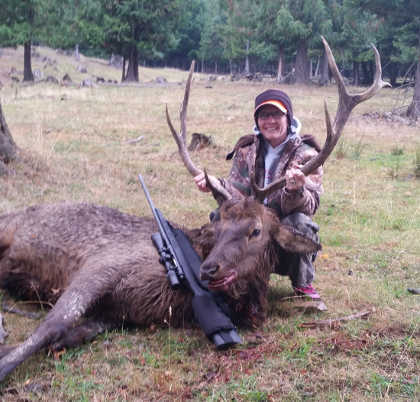 You are invited to harvest limited quantities of elk, both cows and trophy bulls. Available quantities change annually. To hunt a big game trophy and more info, please click here. To become a new distributor of our deer antler extract supplements, please click here. To place an order, you can find our distributors here. Special thanks to Michael Jennings.